Today is National K9 Veteran’s day. As much as we love our pets, it’s a day we should all honor. 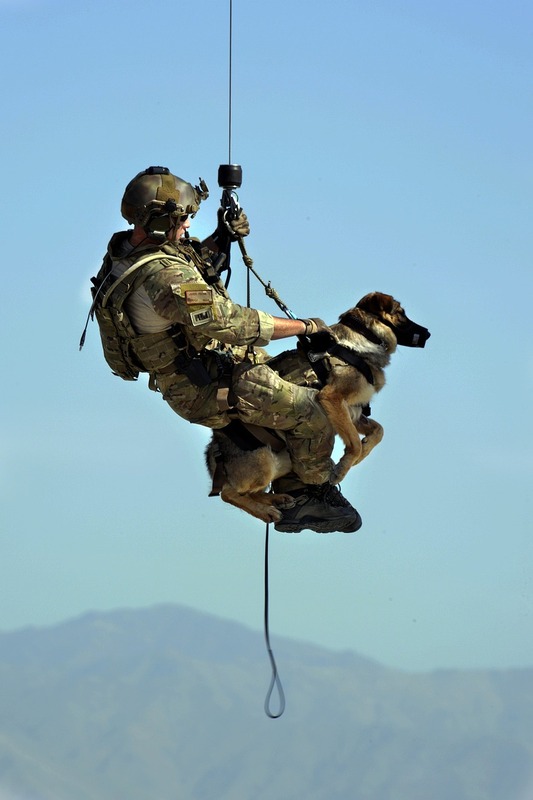 The tasks our military and police dogs take on are some of the worst, and some of the most effective. Today, I’d like to honor them with some excellent books that feature these K9’s. While they’ve been used, probably throughout time, for various tasks from carting things, patrolling boundaries, etc., today they are honed into such skilled animals it is remarkable. Lackland AFB in San Antonio Texas is the best known facility for training today. 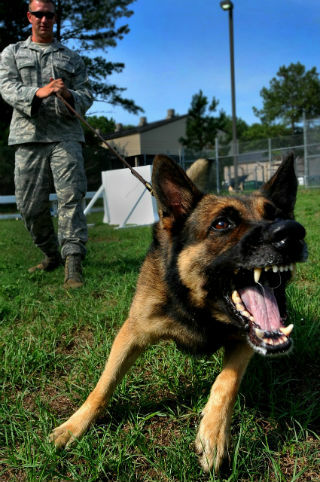 There dogs and handlers go through a rigorous five month long program. 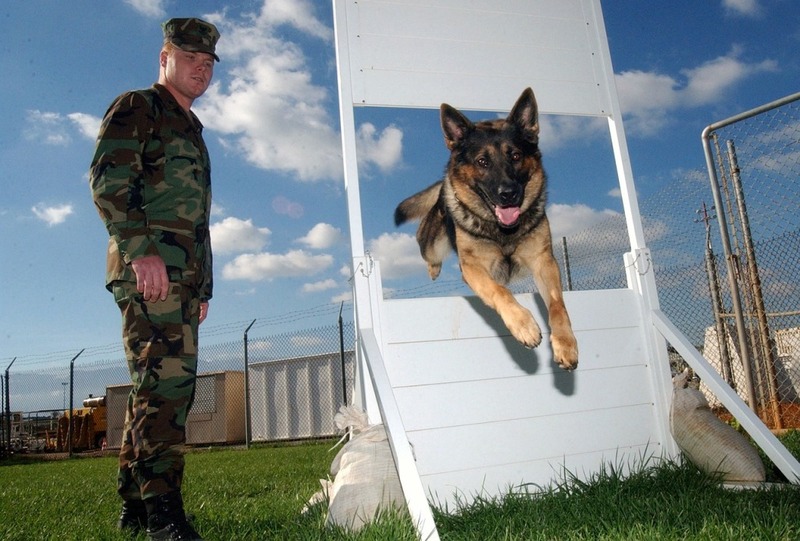 This year alone there will be about 350 dogs trained to serve in the military. Still used for protection and guarding, most of us have seen them in action, attacking criminals or terrorists (include Bin Laden), to detain them until the human handler can restrain or otherwise deal with them. With their super strong olfactory sense, they do well sniffing out drugs, bombs, and people, injured or otherwise. Just as we see their skill in search and rescue, that same skill works well even in combat zones. They are often stealthy enough, and unexpected enough to provide the surprise advantage as well. There are several books I’ve read that show the amazing skills and training of military dogs. Their abilities inspire my curiosity to know more. Any book that features a strong dog seems to get on my reading list. Animals interacting with humans usually involves some combination of laugh-out-loud humor, lessons in training, and pure joy in their relationships. The links below will take you to reviews on each book. The first I read was Suspect, where Maggie was so protective of her handler it was uncertain if she would ever be able to recover and work again. Watching the process of establishing trust, of overcoming PTSD, added so much to the novel by Robert Crais. For even more focused training and skill, I’d highly recommend The Kill Switch, by James Rollins and Grant Blackwood. The intelligence demonstrated by the dog in this exciting novel is phenomenal. The authors reportedly were very careful to be accurate in the dogs training and abilities. Amazing what they can do. In another form, if you don’t want to read about fighting and bomb sniffing abilities, The Search, by Nora Roberts is a good example of search and rescue dogs at work and in training. Well trained dogs are always remarkable to me, especially since I have never been good at training. The effort and discipline involved shows such a commitment to the program as well as to the animal. The trust that develops between the handler and the dog is wonderful to see. One new addition to this list is Breaking Creed, by Alex Kava. It’s an exciting new series featuring Ryder Creed and a collection of his service dogs, which all happen to be rescue dogs besides. Who can resist that? In the first book, Grace, a little Jack Russell terrier, is on hand to help sniff out drugs, bombs, and weapons. Once she does, however, the owners of the goods want revenge. It was an exciting book that I thoroughly enjoyed. Can’t wait to read book two, Silent Creed, just released at the end of July. You can read my review here. I hope we will see many more in the series to come! For the laugh-out-loud selections, there is another fun series that includes a military dog that received a dishonorable discharge! That would be Gnarly in the Mac Faraday mystery series by Lauren Carr. Each book is very entertaining, with a plethora of suspects and many twists and turns. Throughout them all Gnarly is present, often getting into trouble. He has issues. He tends to want—and take—what belongs to others. He tends to chase squirrels and take off on his own. Nevertheless, when he is needed, his military training kicks in and we find a skilled dog, able to follow Mac’s signals even better than expected. He takes his job of protection very seriously. He just enjoys playing a lot in-between. You can find interviews with Ms. Carr and links to my reviews reviews here, on Mystery Suspense Reviews. Kill and Run, the first in her newest series, releases on September 4th, 2015. News of her book tour will be on Mystery Suspense Reviews as well. Here are a couple of YouTube videos that will give you examples of the abilities of our K9 military. When I see photos of them jumping from airplanes, climbing ladders, I just have to shake my head in amazement. What a dog will do for his pack, what he will put himself through, is pretty inspiring. It surely makes it clear why so many of the handlers want to adopt their ‘partners’ when they are ready to be retired. Today laws have actually been passed to allow adoption of their dogs. I’m sorry that wasn’t always the case. It must have been extra hard to separate from one they had worked and lived with for so long. If you are interested in further information on any of the wonderful books suggested above, simply click on any one.